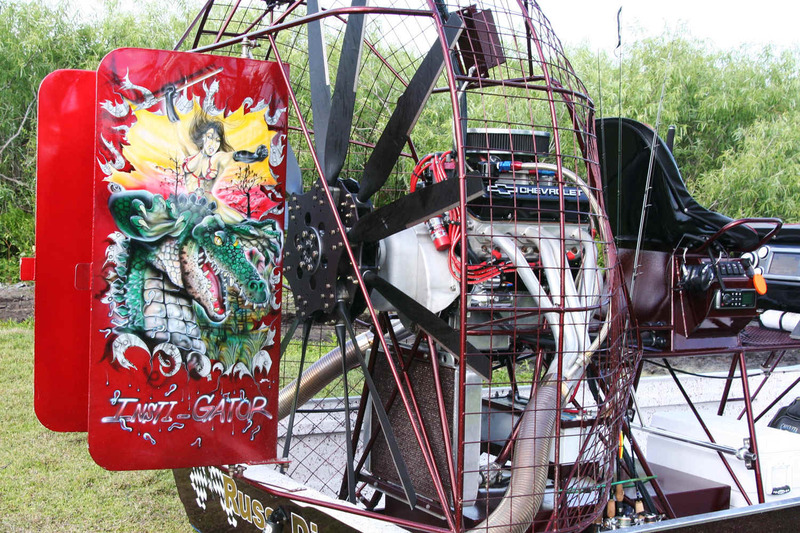 Warp Drive Airboat Propellers, including the new Airboat TURBO PROP, are more efficient, extremely durable, repairable and individual blades are replaceable if damaged beyond repair. 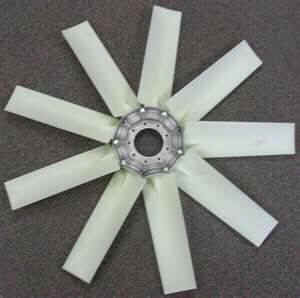 Warp Drive solid carbon fiber airboat propellers with nickel leading edges make excellent, more durable replacements for Water Walker, Wind Walker, Sensenich, Whirlwind, Ivo and other airboat props, including that old, worn-out wood propeller that could fail. NEW ! Bolly Solid Carbon Fiber/Kevlar Composite Airboat Propellers NEW ! Call +1-251-609-0969 for an Airboat propeller suggestion for your application, click HERE to send us a request for a propeller suggestion and quote, or to place your order. Bolly Carbon/Kevlar Airboat Propeller Packages Ready to Go ! On Sale! Inflatable Boats, Dinghies, River Rafts, Pontoons On Sale! Blades for Warp Drive Props- Lower Cost, Smoother, Light & Strong ! Bolly Optima (LSA approved) blades make up to 72 inch diameter--$295 USD each, plus postage. 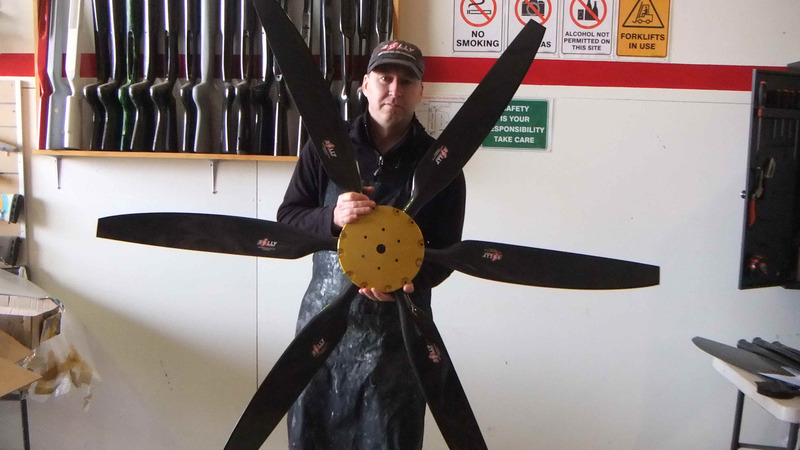 Bolly Brolga Magnum blades make up to72 inch diameter propeller--$229 USD each, plus postage. Bolly Brolga Sport blades make up to 72 inch Prop (no added leading edge protection)--$190 USD each, plus postage. All of the above are available in shorter diameters (56, 62, 68 & 72 inch). Blades equivalent to all WD Standard blade applications. Warp Drive Propeller Airboat and Hovercraft Replacement HP Blades are $395.00 per blade which includes the Nickel Edges (Provide propeller serial number). NOTE: The price for the TURBO PROPELLER includes the Nickel leading edges, faceplate and the mounting bolts ! A Protractor to measure and set blade pitch is also included. 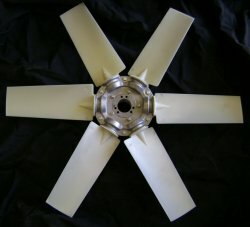 This model of propeller makes less NOISE and is more efficient in converting Horse Power into thrust over most of the useable propeller RPM range due to the airflow boosting effect caused by setting the rear blades at a higher blade pitch than the front set of blades.The TURBO propeller uses a common center plate or plates allowing stacking of the blade sets to make a single rigid hub assembly. The additional "thickness" of the Turbo prop assembly must be accommodated in the propeller guard when considering this style of propeller! A 2x3 is 5 1/2" thick and a 3x3 is 8" thick, for example. 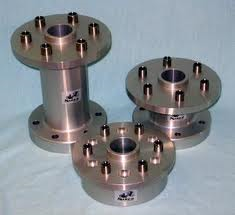 Prop Adapter for VW engine with starter, flywheel and 4" extension/prop flange. 4" bolt circle, 2" center pilot. Engine not included. 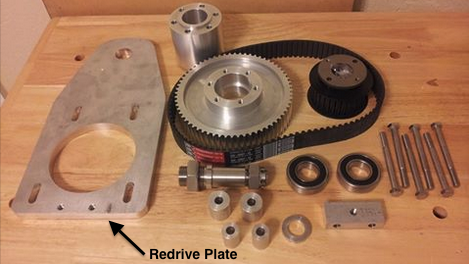 Use an adapter pictured on the left to convert a Chevy or Cadillac engine to direct drive propeller application. Bolt onto the flywheel-end of the crankshaft. Provides SAE2/LXL bolt pattern for propeller mounting. $269 with crank mounting bolts included, plus shipping. 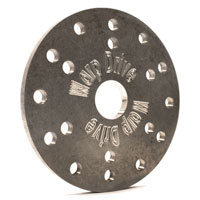 When ordering specify Chevy crank bolt circle diameter or for Cadillac. 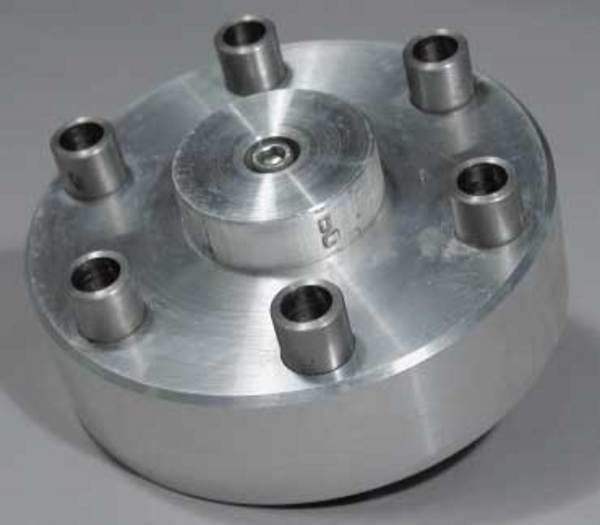 These polished spun aluminum spinners mount on the hub bolt dimensions, NO MATER WHAT TYPE OR SIZE OF HUB. Warp Drive Propeller Bolt Torque Values--All Standard, HP and HPL hubs that use 1/4" bolts to clamp the blades in the hub should be tightened to 120 inch pounds. 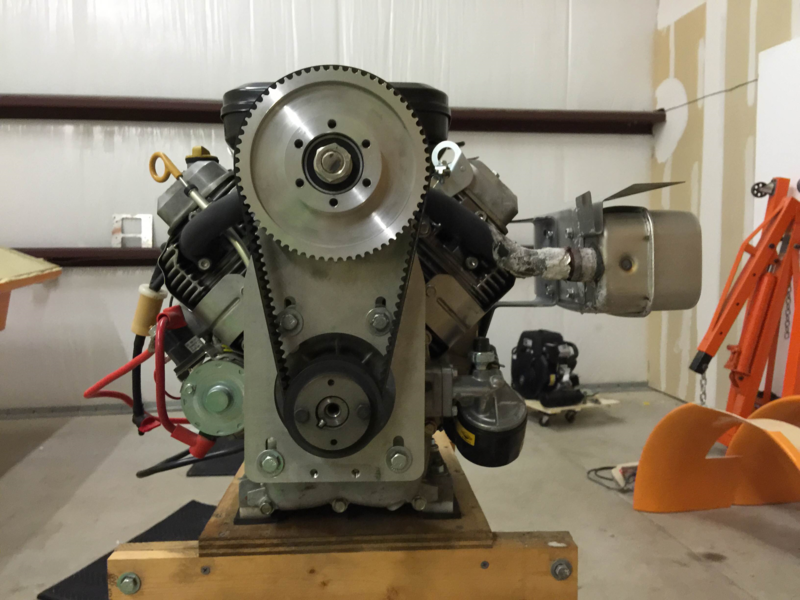 All Rotax bolt patterns that use 8 mm bolts to mount the prop to the gear box flange should be tightened to 175 inch pounds. 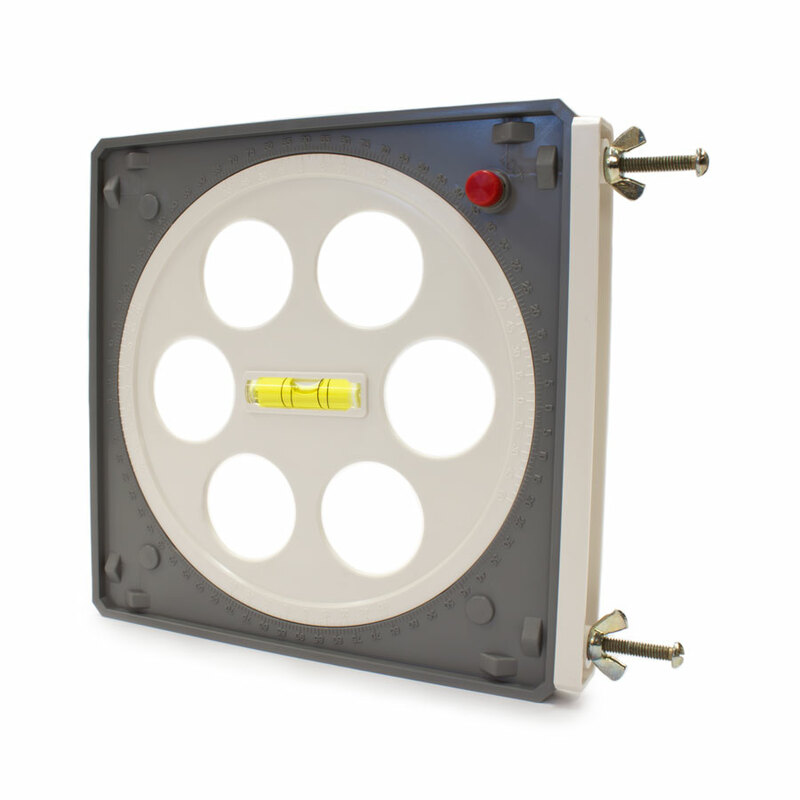 All Standard, HP and HPL hubs that use 3/8" bolts to mount the prop should be tightened to 35 foot pounds. 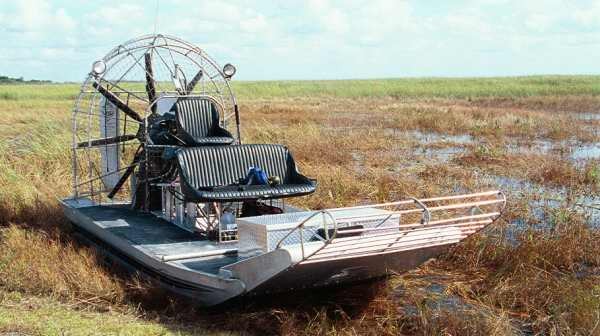 Warp Drive propeller installations on direct-drive aviation engines and other engines used on airboats must tighten the 5/16" clamping bolts to 200 inch pounds and tighten the 1/2" flange mounting bolts to 60 foot pounds. Adherence to these torque values is imperative for reasons of safety. ALL CARBON FIBER CONSTRUCTION: All Warp Drive Airboat Propellers are built using an ALL Carbon Fiber matrix: there are no foams, no fiberglass and no gelcoat used in our blades. 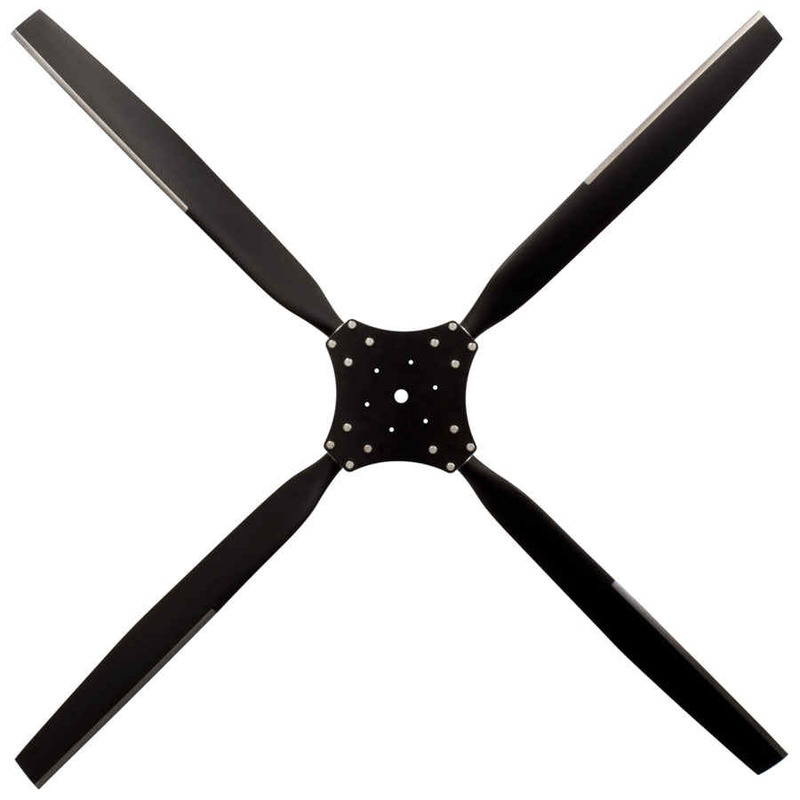 The structural and practical advantages of a Carbon propeller over a fiberglass, wood or metal prop are many, including superior strength, light weight, superior durability and a significantly longer useful life. The construction of Warp Drive's Airboat Propeller blades allows for simple repair of nicks and gouges that sometimes happen. If you were to damage one blade beyond repair (example: ground strike), the blades are individually replaceable. We are a world-wide distributor for Warp Drive Inc. carbon fiber Airboat propellers and offer factory-direct pricing and discounts to our customers. 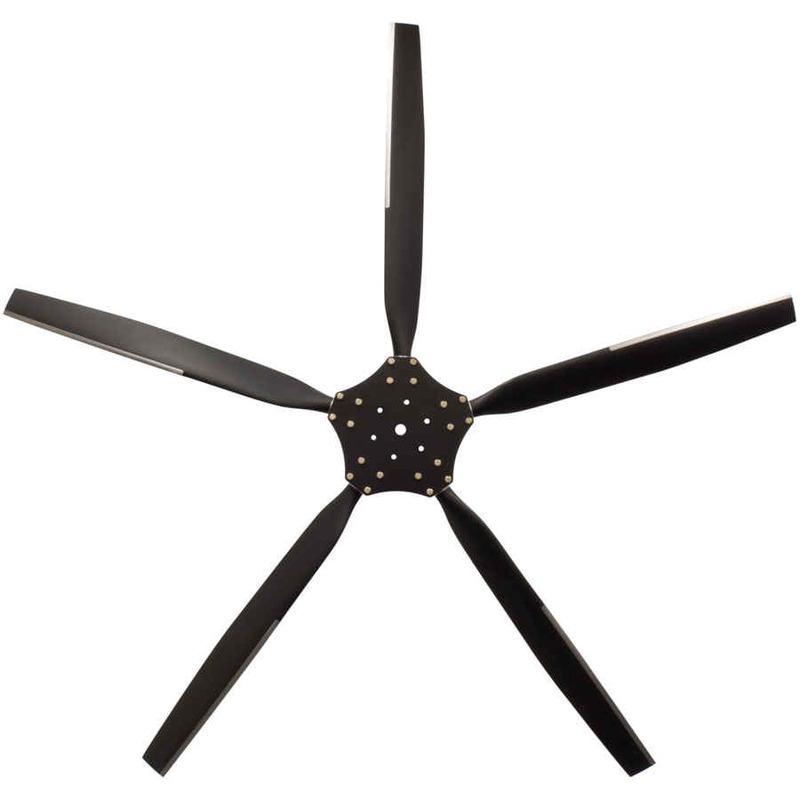 These props are made of a solid carbon fiber matrix (no foam core), have ground adjustable pitch and can be configured with 2 to 12 blades. 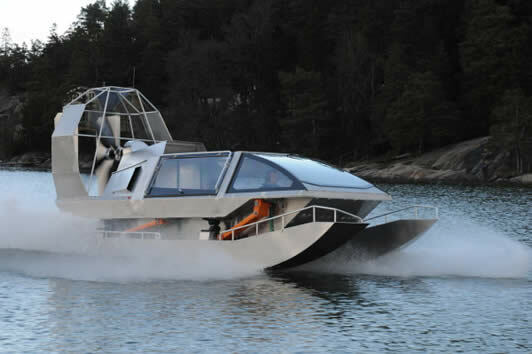 They may be used on most homebuilt, experimental and ultralight craft, including airboats and hovercraft. 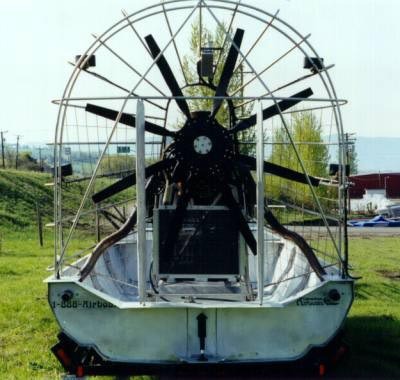 Warp Drive Airboat props are compatible with most engines. 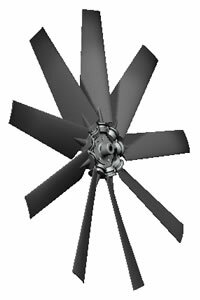 Warp Drive Inc. manufactures propellers for applications where engine horsepower far exceeds 115 hp unlike some sport propeller manufacturers. Warp Drive, Inc. offers a lifetime guarantee of complete satisfaction to the original purchaser on all of their airboat, hovercraft and other propeller applications. 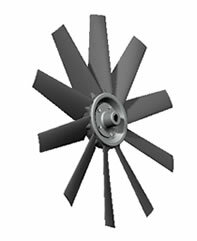 For estimated fan performance calculations, unless otherwise stated, 1 in. wg. back pressure is assumed for thrust fans, all using a AMCA style "A" duct style, 1% fan diameter, blade tip/duct wall clearance for ducted thrust fans. If your application requires more or less pressure, just tell us. A Taper-lock bushing is included to mount the fan to your keyed engine PTO or drive shaft. 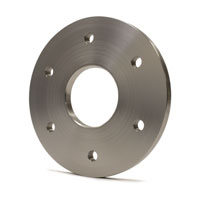 Flange-style mounting is also available upon request, just tell us what you want. Expect about 10% less efficiency if a duct is not used or if there is excessive blade tip clearance with the duct wall in excess of 1% of the diameter of the fan. 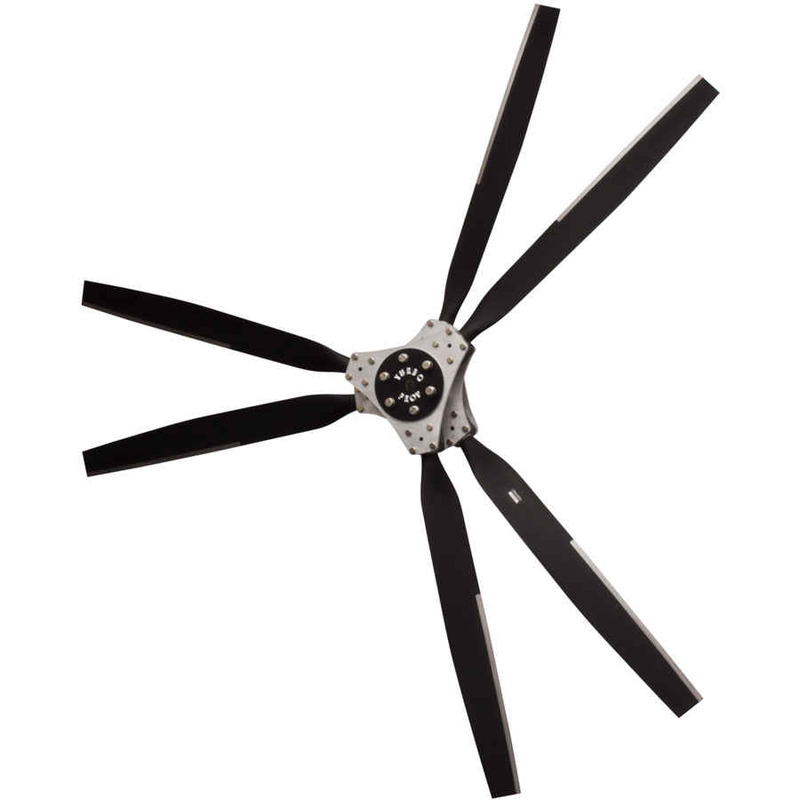 Click HERE for the Original Ultra-Prop & Ultra-Prop II Propellers- Solid Carbon Fiber Composite ! 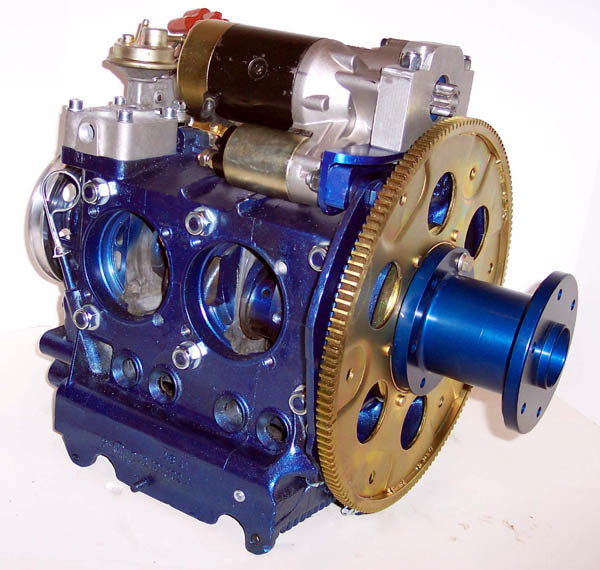 Can be used on B&S, Honda, Harbor Freight Predator engines & Rotax 914 engines too. Bolt-on and go! 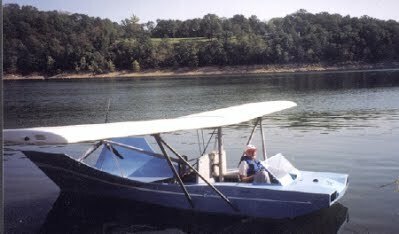 FREE Spratt 107 Flying Boat Plans !! 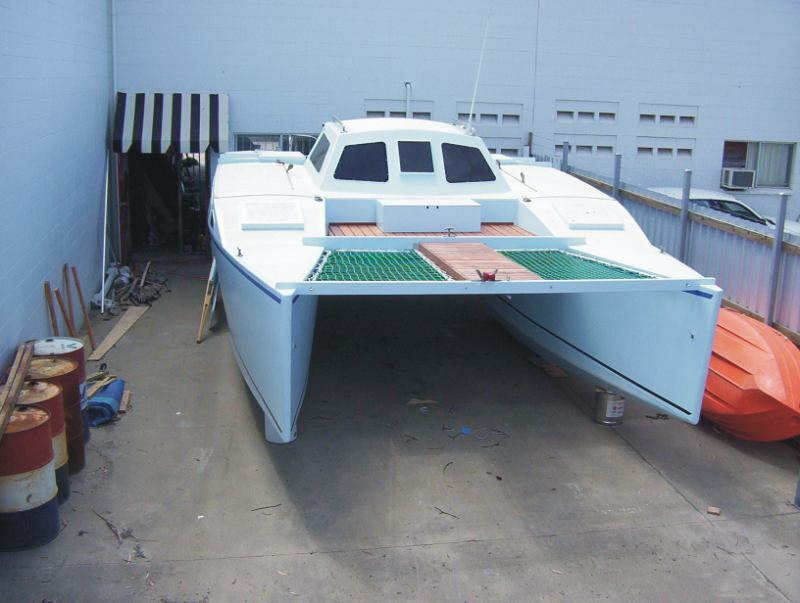 Leon's FREE 30 Foot+ Catamaran Sailboat/Power Boat Plans--Easy to Build Fast !